Plus making a headdress of their animal! This is a chance to have a birthday that's a bit different! The room will be decorated like a jungle with colourful parrots to take your children where ever their imagination wants to take them. 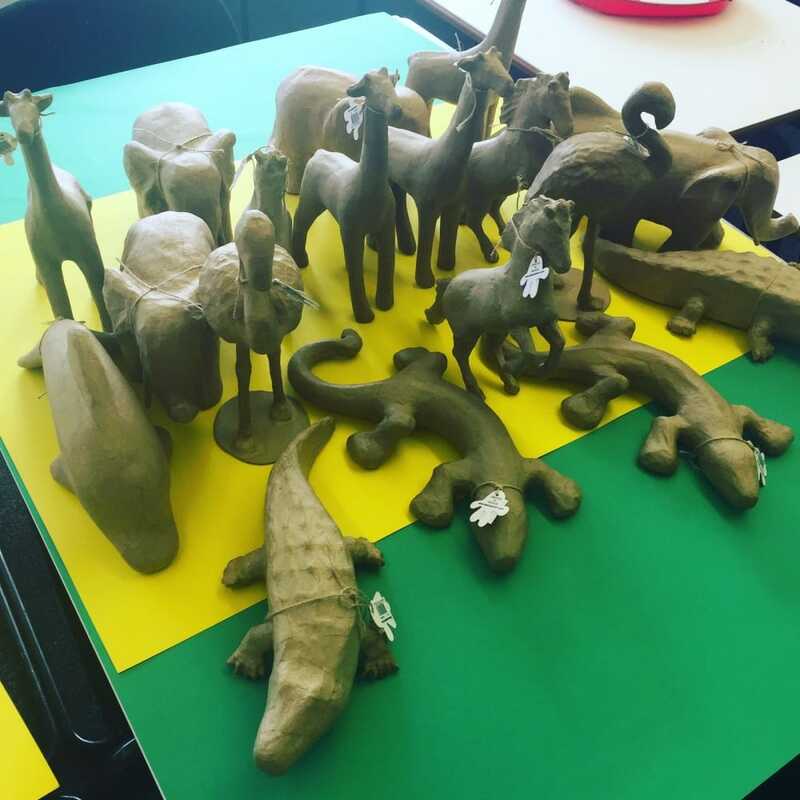 We will be using Decopatch papers to decorate papier mache animals then making masks. Although we do not supply food we can set up a table for you to put the food on. The party will last 1.1/2 but you will have 2hrs in the space. We can take no more than 14 children per party. If you would like a an original craft party there is an additional fee.